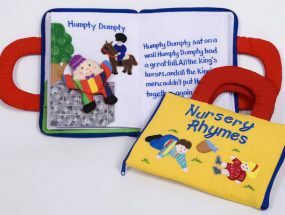 Lullabye and Beddy-Bye Fabric Playbook. 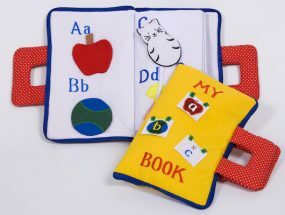 This is a lovely Bedtime Fabric Playbook. You take the teddy and get him ready for bed page by page. 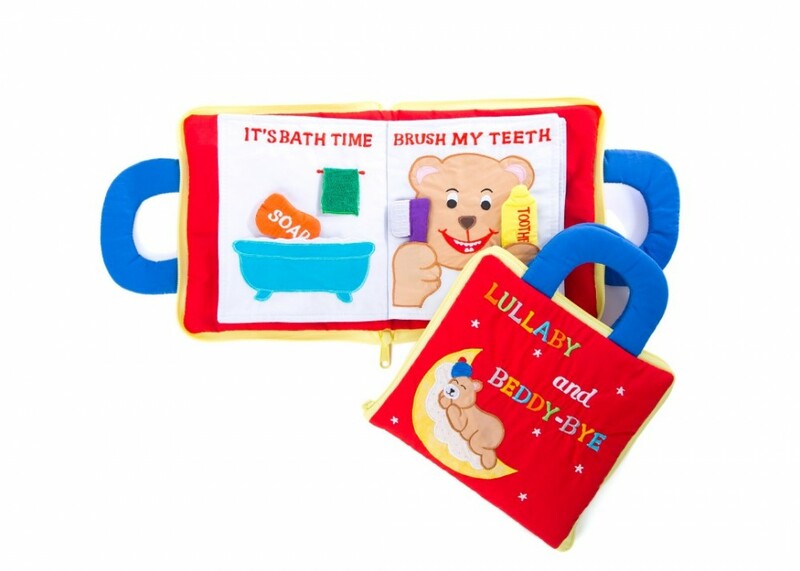 It is a fun way of teaching your child the bedtime routine through Teddy! It all zips up with a carry handle and is light and easy to travel with or send through the post. This Lullabye and Beddy-Bye Fabric Playbook is a lovely way to teach your child the bedtime routine through play with Teddy! 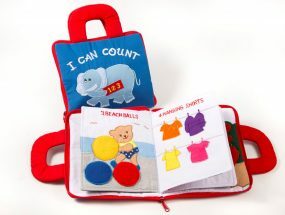 Each page has a different activity to do with Teddy. First of all you put on his bib and give him some milk. On the next page its giving him a bath, then brushing teeth, combing hair, putting on pyjamas, reading a bedtime story, saying your prayers and finally singing a lullaby and turning off the light.